Summer Deals! Book Your St. John Summer Vacation Now! Here at St. John House Rentals, we’ll be celebrating the red, white, and blue (island-style, see photos above) all summer long. As any local will tell you, summer is the best-kept secret in the Virgin Islands. The weather’s great, the water’s warm, and many of our beautiful homes can be rented for much less than you’ll pay in high season. The sunrise view from Conched Out in Coral Bay, St. John. For just $160 a night, couples can enjoy the cheerful charms and stunning views of Conched Out, a two-bedroom, one-bath home just steps from the ocean. The bedrooms are separated by a colorful great room with a dining area large enough to accommodate six. Rent Conched Out in Coral Bay for $160 a night this summer. Every room looks out to the water, and at night, you’ll fall asleep to the gentle sound of lapping waves. Oh, and did we mention there’s a hammock on the deck? For more photos and information, tour the home at the full listing HERE. Sunrise Sweet is another great summer deal in Coral Bay, listing for just $199 a night. The view from Sunrise Sweet in Coral Bay. This incredibly spacious studio sleeps two and is beautifully appointed. Take a house tour and see all the little touches HERE, but first, here’s a peek at your view from the luxurious king-size bed. If you manage to get out of bed, Sunrise Sweet also comes with kayaks and paddle boards, so you’ll be out on our crystal blue waters in no time. Bask in the sunshine on your own paddle board at Sunrise Sweet. Thinking about booking a St. John summer getaway but not sure where to start? 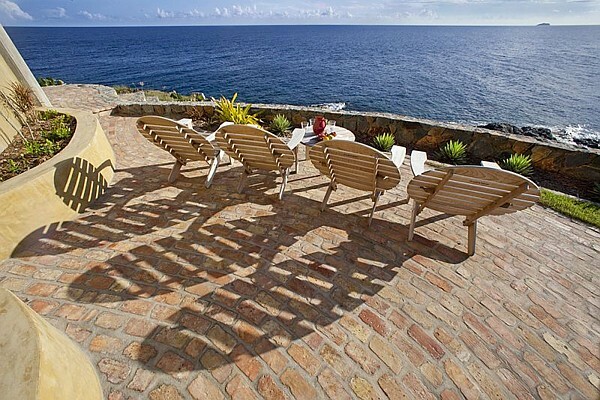 St. John House Rentals has homes to accommodate every vacation desire, from cozy cottages for one or two to large, sprawling villas designed for large groups and extended families. Most homes offer low-season rates. Browse all of our listings HERE. Oh, the weather outside is frightful (if you’re up north, that is…) but you’ll be delighted to know it’s not too late to book your Caribbean holiday getaway. Swap your Christmas tree for a palm tree at Mayan Sky. 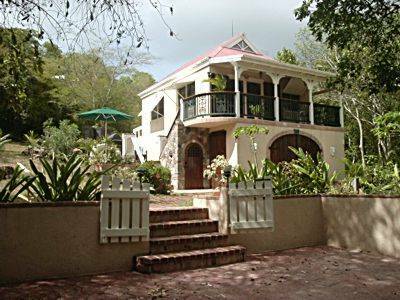 The Christmas winds are blowing, the holiday season is here, and St. John House Rentals already has gifts under the (palm) tree: new listings for vacation rental homes.